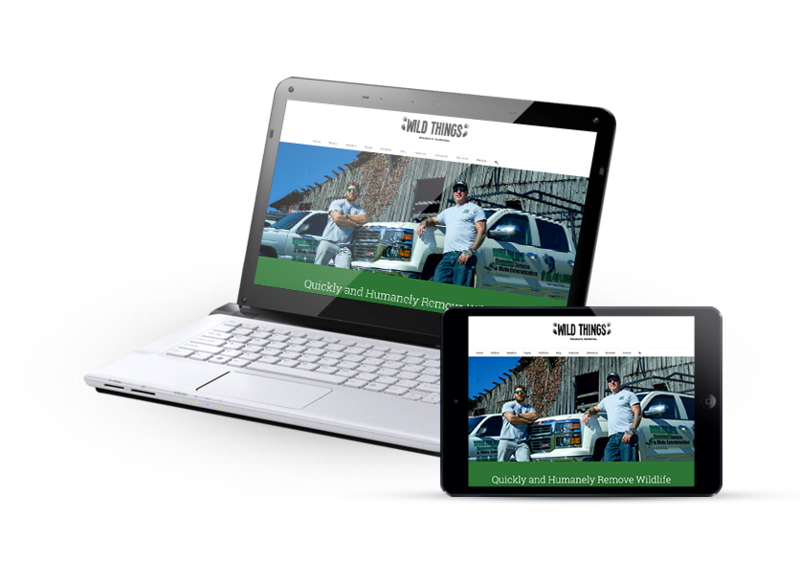 Your wildlife removal need must be solved expertly, humanely, and quickly. 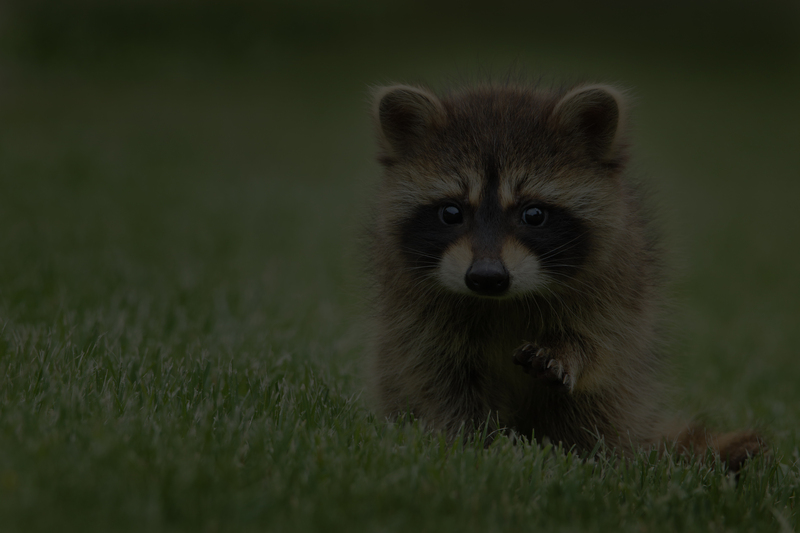 We specialize in wildlife removal in Nashville, Franklin, Brentwood, TN and surrounding areas. 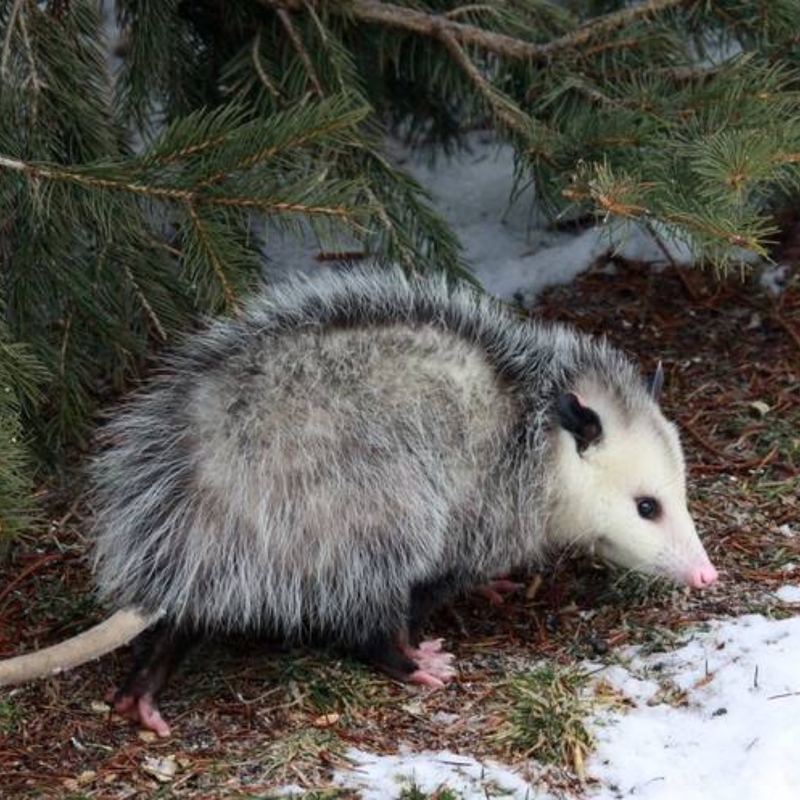 We have years of wildlife removal experience with trapping moles, raccoons, squirrels, oppossums, snakes, skunks, and other animals such as foxes, coyotes, bobcats, ferral cats, birds, bats, and more. 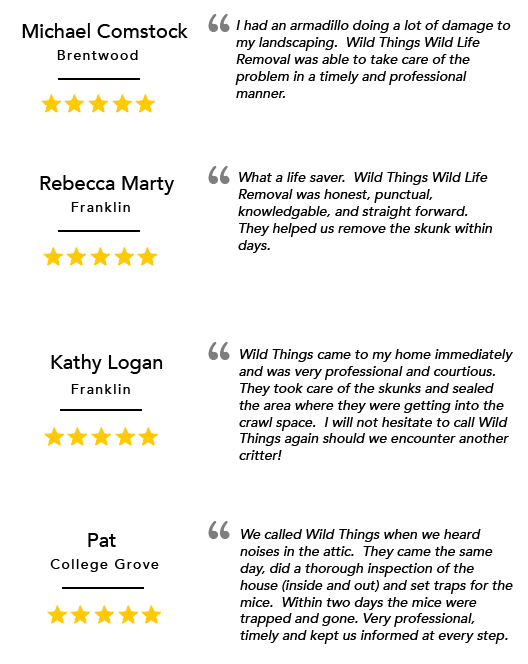 Wild Things Wildlife Removal Service, LLC is a humane animal removal company with an emphasis on timeliness and family safety (watch our videos of us humanely trapping and removing wildlife). 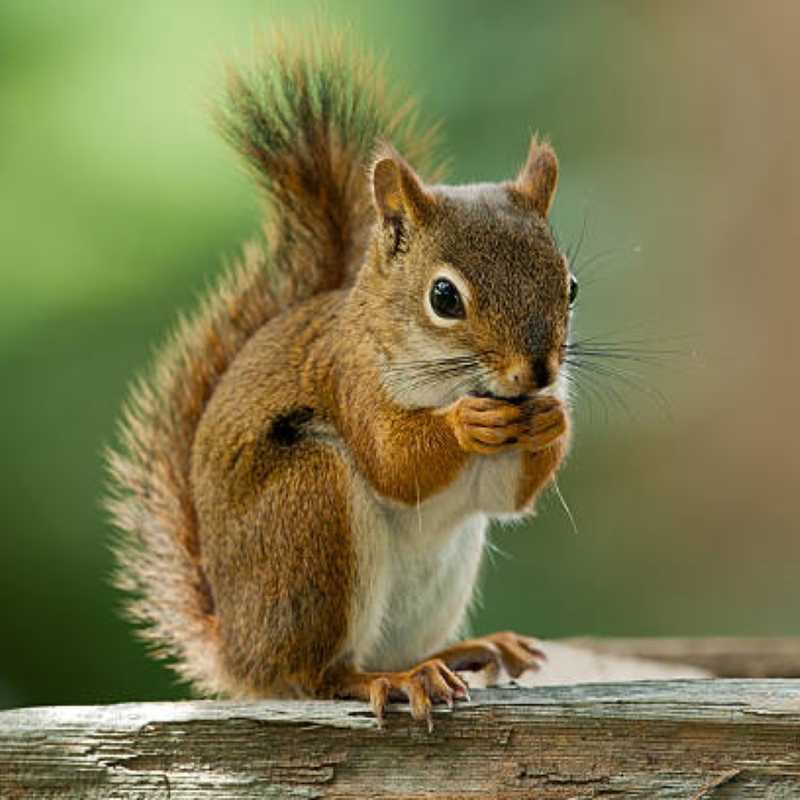 We are a full service wildlife removal company that has been in business for over 30 years. 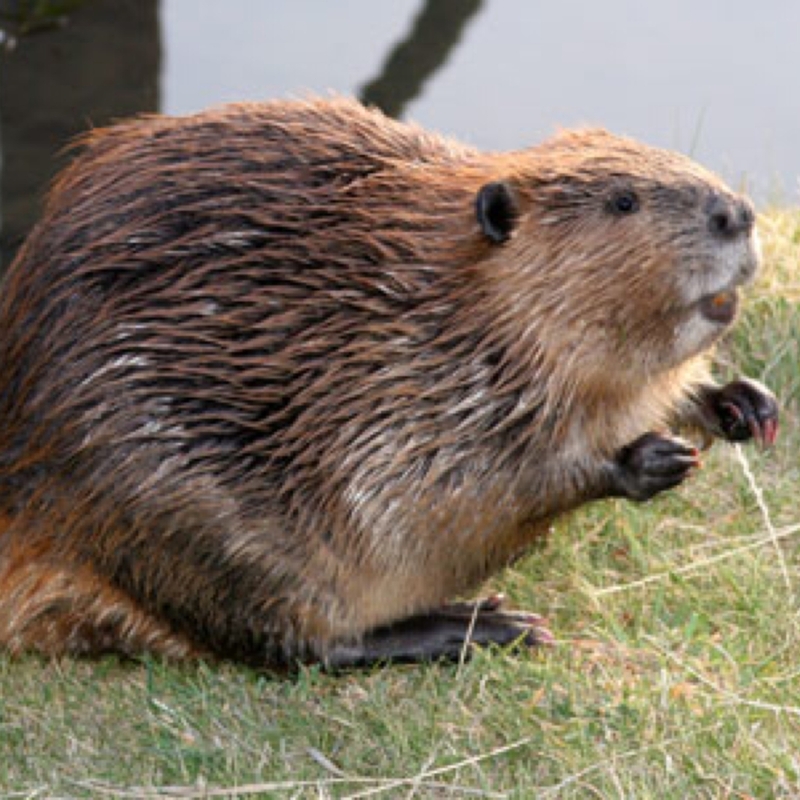 We specialize in wildlife control and prevention. 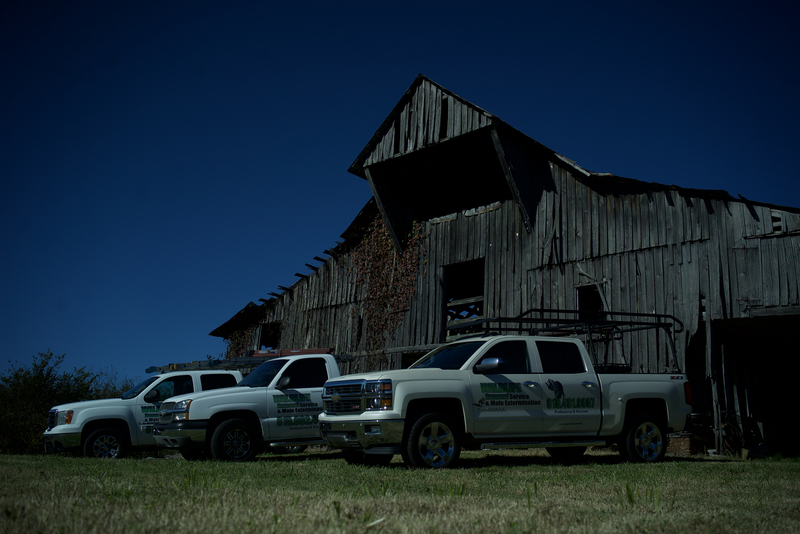 We are team of licensed and insured technicians that are ready to serve you and restore your environment back to normal. Real Support. Real People. Real Results. 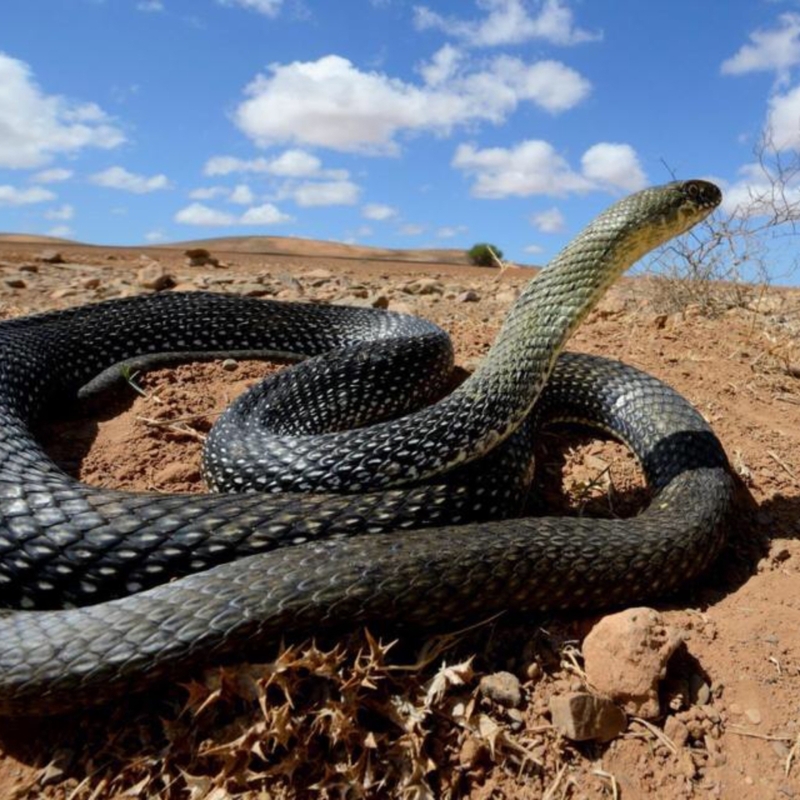 We know what it’s like have unexpected critters in your environment. Our philosophy is to quickly and humanely remove them from the premises. With friendly service, skilled execution, and effective follow-up tactics, we can achieve quality customer satisfaction. Smell something foul? See a dead animal on the premise? If you smell it, we will find it. If you see a dead animal, we will remove it. We know what it’s like to not be unsure what to do in rare occasions like this. That’s why we exist. Let us help you immediately. We specialize in finding your unwanted guest and provide you with a thorough solution to making your environment feel normal again. 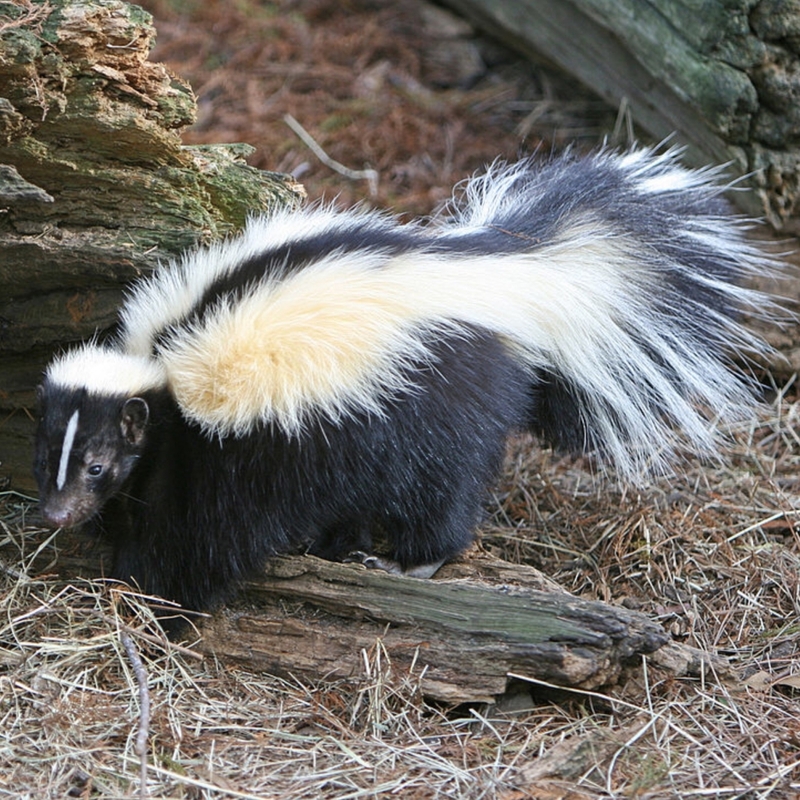 Do you have an unwanted critter invading your home? 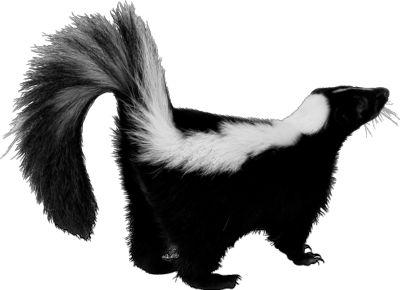 are you smelling a foul odor in your environment but don't know where to look? 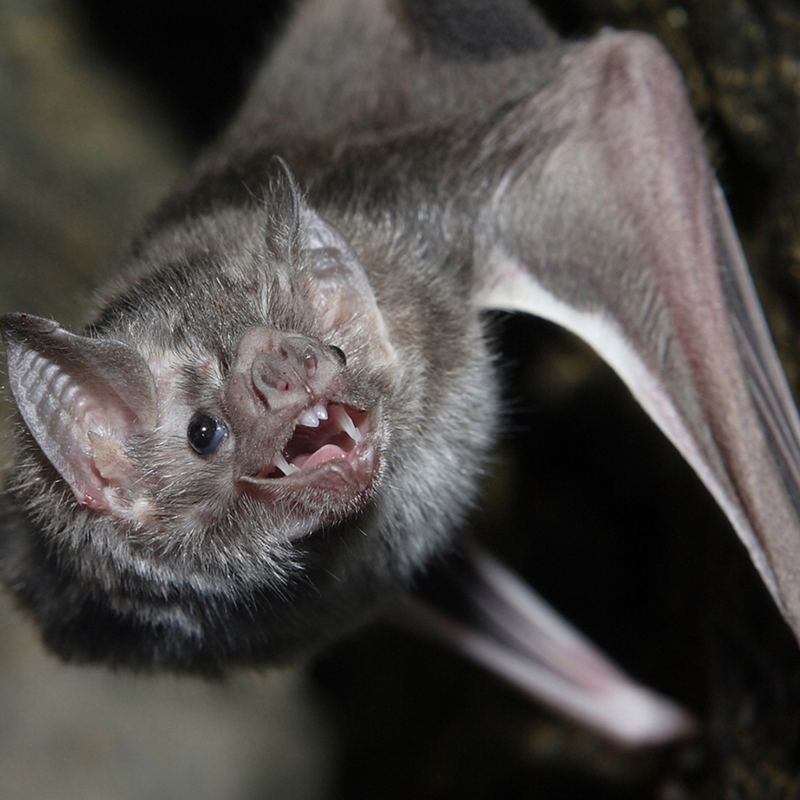 Did your attic or crawl space get invaded by an unwanted critter? Did they cause a lot of damage? 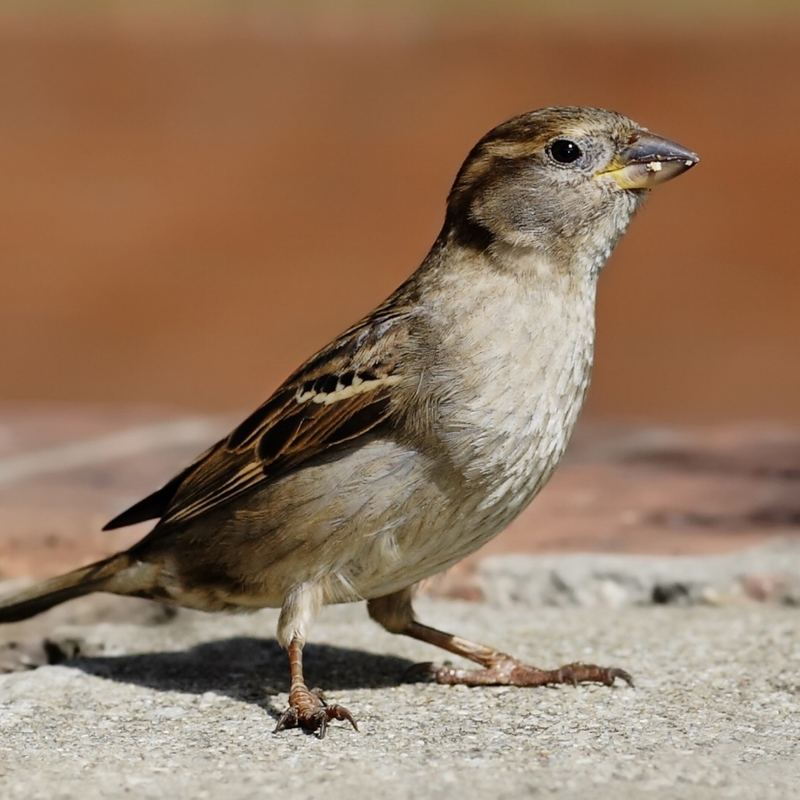 We can help repair and prevent any more unwanted wildlife pest that invade your property. 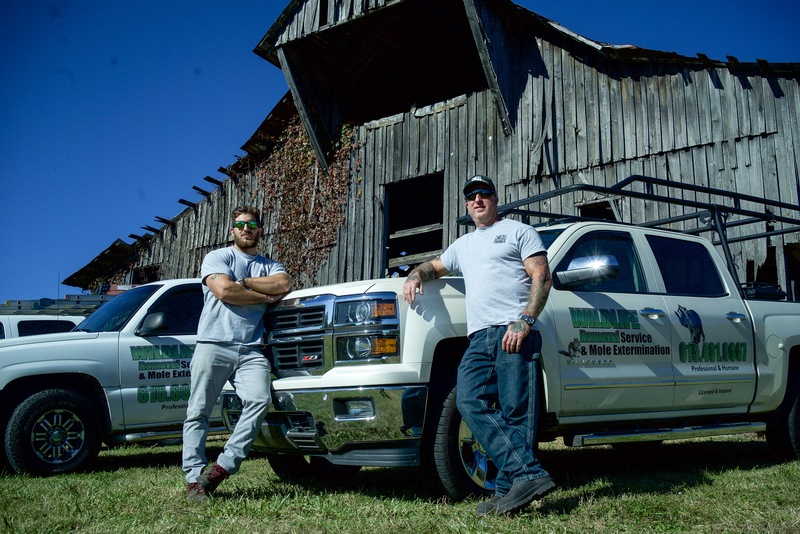 Serving the Greater Nashville area for over 30 years by removing wildlife quickly and humanely.